Sometimes fugitive monsters hide in the nightmares of human beings. 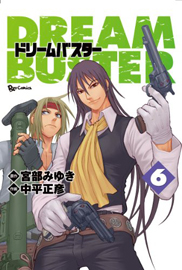 The cowboyish Shen and stern, muscle-bound Maestro are Dream Busters, bounty hunters who catch these monsters. 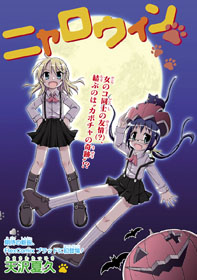 Their first mission of the series is to catch a monster inside the shared nightmare of Michiko and her daughter Mayu, which involves the death by fire of a cat-loving old man. All land masses have been submerged into the ocean and humans have not seen land in generations. The ecosystem of the sea has changed in such a way that fishes eat machines and because all the food supply and resources are inside the fishes, humans have to fish them in order to survive. Karo is a ‘salvager’ meaning that, through years of experience, he has learned to capture the ocean creatures. Amari, a navy officer, approaches him and asks him to fish up a particularly nasty fish named Jenga, a gigantic mechanical monster fish that has been attacking and eating artificial islands. Karo agrees to fish up Jenga after he learns something about a particular machinery part Jenga is made of. Tsukino is a high school girl who has come out to Tokyo to start her modeling career while juggling her academics. It has been going well so far although she has a hectic schedule. 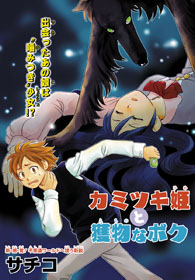 However, one day Tsukino is attacked by a demon that eats her shadow, but is spared her life when Mikage Youji intervenes and wards off the demon. According to him, without her shadow, Tsukino will start to lose her presence in the real world. Skeptic of Mikage’s warnings, Tsukino ignores him only to find out that everyone, including her friends and family, are unable to see or hear her. Asking for Mikage’s help, Tsukino learns that she will literally disappear from this world once the demon digests her shadow. Tsukino’s desperate search to regain her life lets her realize what “to be or not to be” really means. Yasuda is just a normal student who writes a blog, but one day he begins to develop a strange mark around his neck. 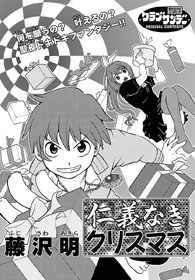 What is happening to him, and why is his pretty classmate Mizui chasing him and asking to bite him? For that matter, what exactly is Mizui, and how is she connected to the scary, shadowy dog he often sees around her? 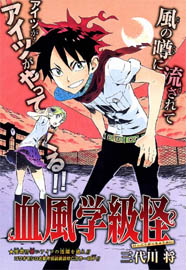 Wagata is accidentally selected to be the male class representative by his female classmate Kikimoto. She is highly disappointed in his class rep abilities, but he has a secret that may prove him more capable than she realizes. He has convinced an urban legend monster, the "red coat," to become his ally and help him defend his classmates from other dangerous urban legends! There is much more to the universe than the one world where humans live. In fact, there are worlds numbered from 2-108, all connected to the central (#1) world where the Kurono family lives. It's the responsibility of the Kurono family to help protect the mythical god items in these worlds as well as the Kurono family god item from the monsters beyond the borders. Five years ago, when 16-year-old Sora was walking in a park at night, he came across the strong and somewhat cruel Kurono Shidano fighting a monster. As a result of this encounter, she enlisted him as her servant. 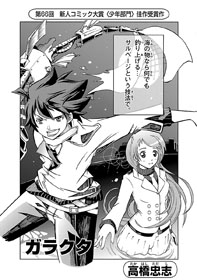 Now he is constantly pulled out of his ordinary life to aid her in her interdimensional adventures! Beth is a shy girl who adores cats. Her best friend Claire is a lot more aggressive and loves Beth. One day, Beth is blamed by the farmer for destroying his pumpkin scarecrow when it was really the fault of a black cat, but Claire comes to her rescue and they are able to run away. Claire soon finds herself harassed when she continually receives notes that say “trick or treat.” Not only that, Beth is being stalked by the same black cat that got her in trouble. As Claire’s situation progressively gets worse, Beth has to protect her friend. 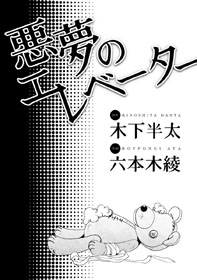 It features the housekeeper from the series La Maison Iyasaka. When they were little, Saki used to really admire her friend Raiko. He was absurdly obsessed with ping pong from a young age, and he was trained by his father to be a ping pong master. Now that they're older, his enthusiasm hasn't changed one whit. Unfortunately, his weird obsession and inability to think about anything other than ping pong has drawn him a lot of negative attention from his classmates. Even Saki, who's also in the ping pong club, doesn't want to be associated with him anymore. All this changes on the day that they're abducted by ping pong fanatic aliens. The two of them, in addition to some other high-ranked earth ping pong athletes, are forced to try out for a space ping pong tournament. However, if none of them beat their alien opponents, Earth will be destroyed! 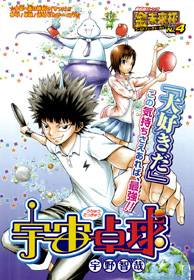 Now Raiko's ping pong mania may be the only thing standing between the earth and its destruction! My favorite this week was Akumu no Elevator. It's kind of a character study of horrible people. Though there's no action really (they're stuck in an elevator), their conversation was really interesting. Dream Buster also seemed fun, I really like the idea of following these characters as they sail through people's nightmares. Kurono Mansion was also pretty neat. The interdimensionality aspect kind of reminded me of kingdom hearts, but with mythology. Great series this week. Come Wild Vanilla - funny comedy with the type of jokes that i like. 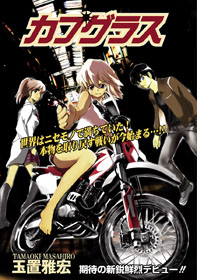 Garakuta - seems like a start of a great series. original story line and has a lot of concepts that seems to have potential. characters are cool and the drawings are great. 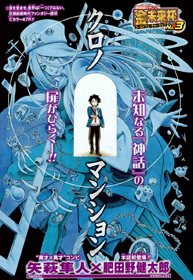 Zettai ... - another comedy with lots of funny scenes and quotes. the characters are typical but the jokes are good. 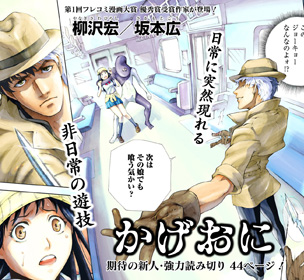 The only one that really interested me was Akumu no Elevator due to the idea that you wouldn't suspect that ordinary people would be able to do heinous acts. 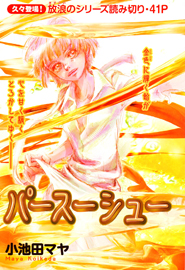 If you haven't done so already, check out the scanlations of the mangas from previous shout outs which have been recently scanlated: psychological action manga Phantom - Requiem for the Phantom (MH link), fantasy gender bender Samurai High School (MH link). Definitely interested in Kage-oni. Akuma no Elevator sounds hilarious. Dream Buster also sound like it would be worth reading.